In the beginning, there is always a small blank notebook. To become a sketchbook, it fills with drawings, painting, collage, writing and miscellaneous flat things. To become a Flying Book, it is shared around. Passing from person to person, the book fills up page by page. There are over a hundred Flying Books at present - some are full, others ongoing, some have just started. Since 2005 when the first of these books was begun, several hundred people of all ages – artists and non-artists – have joined in the project. 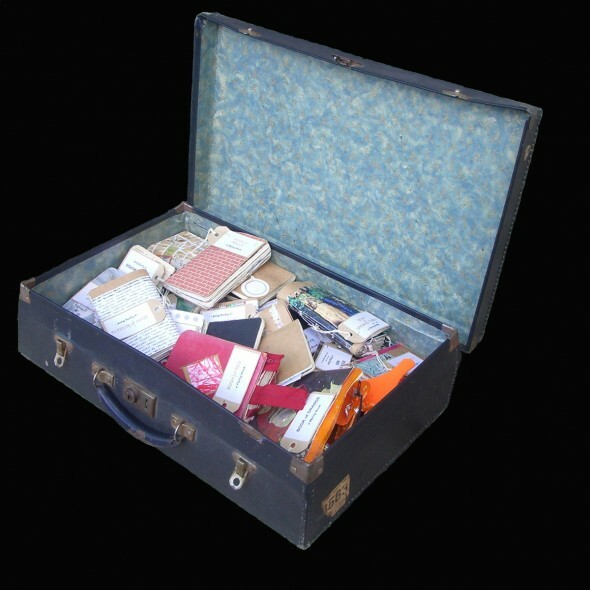 They are packed up into Flying Book Cases and often on the road, although their origins are in Brighton; the project was set up by Clare Nias, artist and art tutor. The Flying Books project grew out of courses and workshops run by Clare Nias on the theme of Sketchbooks.